THE CON: Crazy Eddie was a family business that grew into a huge chain of electronics stores with rock-bottom prices. It was also a criminal operation driven by lies and phony inventory. THE DAMAGE: Shareholders lost as much as $100 million - about $188 million today. THE OUTCOME: Sam Antar, the company accountant, testified for a reduced sentence. His cousin, Eddie Antar, went on the lam; he was extradited from Israel and spent nearly 8 years in prison. If you lived anywhere near New York City in the 1980s, you almost couldn’t escape from Crazy Eddie. The discount electronics stores were all over the Northeast; flip on a TV, and you’d inevitably catch an ad. The wild-eyed character in those Crazy Eddie ads, who ranted about the “insaaaaaaane” deals, was hard to ignore. But it wasn’t just aggressive marketing behind the company’s success. From phony inventory to fictitious earnings, nothing about Crazy Eddie was as it appeared. Eddie Antar opened his first electronics store in 1969 with his father, Sam. From the start, he stocked the shelves of his Brooklyn store with the lowest priced electronics. With those prices, Antar broke the fair trade laws that forced retailers to sell their goods at prices set by the manufacturers. The deals, and the store’s loose atmosphere, attracted consumers. Why shop at a stuffy department store when you could listen to a stereo at top volume and get it for a better price at Crazy Eddie? By 1973, the store was recording sales of more than $100 million. Beyond that boom, Antar had little tricks for creating profit. He hired nearly every member of his family and paid them off the books. He declined to report cash sales to the IRS and collected insurance claims for fires and floods that never happened. His cousin, Sam Antar, handled the company’s crooked finances; he estimated they skimmed about $1 for every $5 that came in. As the dollars piled up, the Antars expanded their empire. By 1984, there were 39 Crazy Eddie stores across the Northeast. Even people who didn’t shop for bargain electronics knew about the chain; endless commercials with an actor talking fast and frantic created a memorable brand for Crazy Eddie and carved out its place in the popular culture. Antar also relied on his shrewd intuition to assess consumer interest in the latest technology. When VCR’s and compact disk players hit the market, he made sure people knew to come to Crazy Eddie for the best deals. Annual sales climbed to $350 million in 1984, but Antar wanted more. He wanted to take Crazy Eddie public. Before the initial public offering, an auditor came in to take stock of the company. The auditor didn’t realize that many of the boxes of inventory he saw piled to the ceiling were empty – or that the attractive saleswoman who climbed a stepladder to assist in the tally was calling down fictitious numbers. The ploy to overstate the company’s assets worked and, in 1984, Crazy Eddie went public and sold two million shares at $8 apiece. This wild overstating of inventory became a profitable pattern for the Antars. At the end of 1985, the family nudged the numbers $2 million above what actually existed in their warehouse. Crazy Eddie stock looked terrific and rose to as much as $21 per share. Antar made about $68 million by selling his stock. Between that windfall, the brisk sales and all that was skimmed off the top, cash poured in quickly and at a tremendous volume. To avoid paying taxes, the Antars took monthly trips to Israel – with huge amounts of cash literally strapped to their bodies. The courier would land in Tel Aviv and deposit the funds into a bank; those funds were then wired to an account in one of a handful of countries where the family had dummy companies. Slowly, the money was pulled out of Panama and deposited – at specific moments timed around an audit – into several Crazy Eddie bank accounts. Of course, those deposits were booked as revenue. 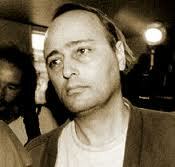 The scam, and the Antar family, came apart in 1987. Antar’s father and his two brothers, who held important positions at the company, were fired or resigned. On top of a bitter family feud, the cash flow necessary to sustain the fraud dried up. As other retail outlets adopted Crazy Eddie’s low prices, the market became saturated with cheap electronics. At the end of the first quarter of 1987, Crazy Eddie profits dropped 93 percent. Antar sold his stake in the business in 1987. It didn’t take the new owners long to discover that only half the amount of inventory listed on the books actually existed. Within two years, Crazy Eddie declared bankruptcy. When the SEC filed an action against Eddie Antar in late 1989, he fled the country. He hid in Israel for two and a half years before being captured and extradited. While on the lam, his cousin Sam Antar pleaded guilty to fraud and agreed to testify against his family for a more lenient sentence. During Eddie Antar’s trial, he said he disappeared to avoid his ex-wife's play for alimony. His defense attorney argued that the mastermind of the con was actually Sam Antar – who received house arrest in exchange for his testimony. The jury was not convinced. 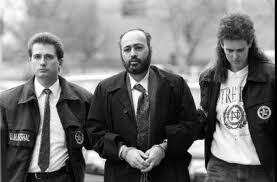 Eddie Antar was convicted in 1993 of conspiracy, racketeering and securities and mail fraud. He served eight years of his 12 ½ year sentence. Today, Sam Antar has a website where he maintains a blog, and calendar of speaking engagements. Eddie Antar lives a quiet life in his native Brooklyn.